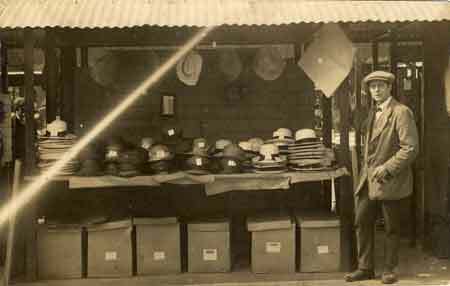 Thursday 31st January 1918: At a meeting of the Luton War Pensions Committee a strong protest has been made against the holding up of the scheme for training discharged men for the hat industry. The Committee appointed to oversee the scheme were almost on the point of resignation due to the procrastination of the two Government departments responsible, which apparently had a difference of opinion as to how it should be carried out. Rumour in the town blamed the manufacturers, on the one had for trying to make something out of the scheme, and on the other for holding it up because they could not make anything out of it! In fact the manufacturers were anxious for it to go ahead, not for profit but simply to assist in the good work of training the disabled. A minimum of twelve trainees was required for the scheme to start - there were currently eight applications from men hoping to be trained, but there had been many other enquiries which came to nothing because the work was not ready. The Committee agreed to protest strongly to the Government departments which were causing the delay. Sunday 27th January 1918: Letters of thanks have been received for the “smokes” distributed to prisoners of war in Germany through the Tobacco Fund set up by the Bedfordshire Standard. The cigarette parcels are sent to prisoners from a fund to which Messrs. Martins contribute one penny for each shilling subscribed to the newspaper’s Patriotic Tobacco Fund. 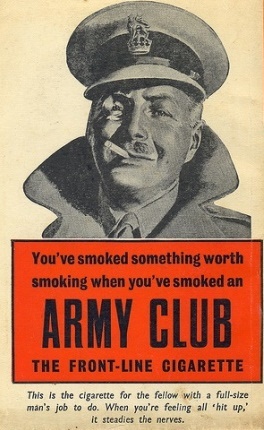 Contributing to the Fund is a cost effective way of sending tobacco and cigarettes to soldiers, as nearly double the quantity which could be bought for the same amount in the shops can be provided. Further donations are urgently needed. Friday 25th January 1918: A court-martial has been held today at Biscot to investigate charges against Captain Charles Lane of the Royal Field Artillery of conduct prejudicial to good order and military discipline. It was said that on July 20th he sent a chicken, ham and other foodstuffs, and on August 11th a ham, from the Officers’ Mess to his billet. Evidence was given by his commanding officer that Captain Lane had been appointed as mess caterer on 8th April 1917, and by Gunner Percy Walter Beale, formerly chef of the mess, that he had taken food to Captain Lane’s billed at his request. 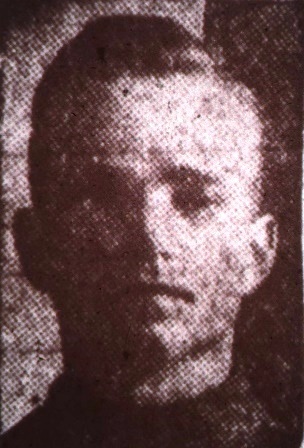 Two other men stated that he had taken food, and Lieutenant Clyde T. Wilson told the court martial that Captain Lane admitted to him that he had sent hampers of food to his billet. 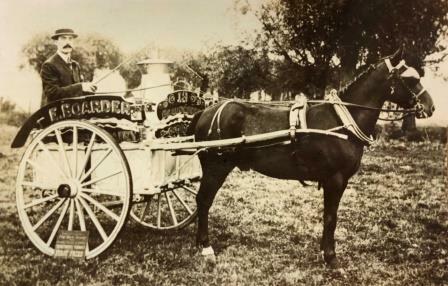 Captain Lane pleaded guilty, admitting that the food was sent, but claiming that as mess caterer he was entitled to it. 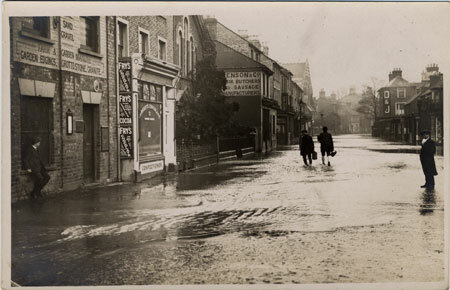 He stated that the mess was in a very unsatisfactory state when he took over, and within two months had produced a bank balance of £40 on the messing accounts, given better food, and reduced the mess subscription from two shillings and sixpence to two shillings per day. As he had been appointed with “a free hand” he regarded the food and money as his own, and held that he was in the same position as a civilian caterer to a mess. Other officers and Colonel C. H. Alexander, the Commandant at Biscot, gave Captain Lane the very highest character and did not believe him capable of the conduct alleged in the charge. 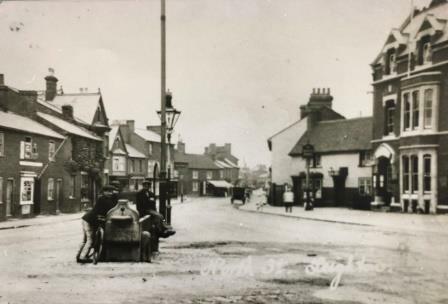 A number of mess assistants and storekeepers at Biscot were prosecuted at Luton Police Court on charges of theft and conspiracy to steal provisions in December 1917; the outcome of the prosecution is not known. 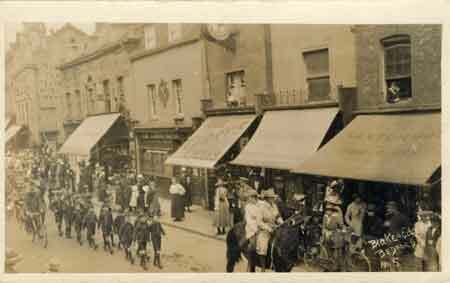 In order to avoid QUEUES and the undue and unequal purchase of BUTTER AND MARGARINE the Leighton Buzzard Food Committee have prepared a COUPON SCHEME, which will come into force on 28th January 1918, and under which no person will be able to obtain more than one supply (based on the number in the household) in any week. A RETAILER WILL NOT SUPPLY ANY PERSON WHO DOES NOT PRODUCE AN OFFICIAL COUPON. Coupons will be issued at the INSTITUTE, NORTH STREET, between 9.30 and 12.30, 1.30 and 4.30 and 5 to 8 p.m. from MONDAY 21st JANUARY, until STAURDAY 26th JANUARY 1918. The SUGAR TICKETS (not Cards) FOR THE HOUSEHOLD MUST BE PRODUCED AT THE TIME OF APPLICATION. The Coupon must be presented to any Retailer, who will supply the applicant if he has the material in stock. There is, however, no guarantee that the holder of a Coupon will obtain a supply, but the available stocks will be distributed as equally as possible. Saturday 19th January 1918: Communal kitchens have been set up in many parts of the country to help to alleviate the food problems caused by the war. 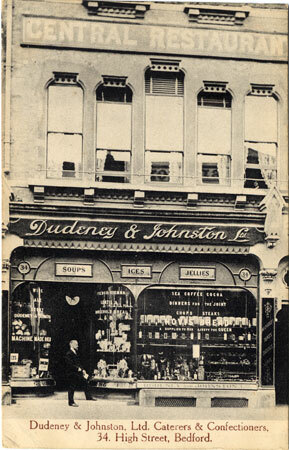 This innovation has now reached Bedford, where a communal kitchen has been set up by Messrs. Dudeney and Johnston. The success of this initiative has far exceeded expectations, and large numbers of both middle and working class people are taking advantage to this opportunity to obtain a well-cooked meal at minimum cost. A large variety of foodstuffs is used in the kitchen where the meals are prepared, and with the use of advanced cooking methods cereals and the more easily available foods are converted into appetising and nutritious meals. There is currently no room for the kitchen’s customers to eat on the premises, but it is hoped that next month the company will be able to provide a large room where indoor meals can be eaten. For economy and to save time customers would be their own waiters, with a nominal charge made for the use of utensils. Once the success of this scheme is more widely known it seems certain that it will be copied by other firms. “There is no need to worry about me, as I am quite safe and looked after well. I am not alone by many hundreds. Do not send any parcels as I have already received one, and we often get one from the Red Cross … I was not with the battalion when I was captured, but with the Royal Engineers on fatigue. We are all together in one camp for a month’s rest, and do not do any work, but just look after our own huts and cots. We do have a good night’s rest in comfort and peace – no “whiz-bangs” and “coal-boxes” flying about and knocking pieces out of us. Well, sister, it is worth pounds to be in a clean, warm bed and not in danger, but being away from home and everybody we know well, there it is. Let us hope the war will soon be over”. 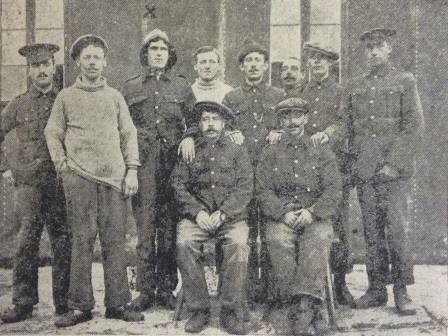 Before the war Private Broome was employed on the Luton Corporation Tramways. 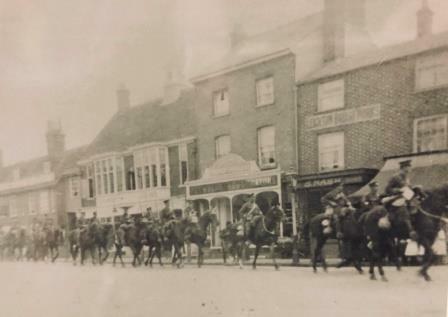 Friday 11th January 1918: The Bedford Local Association of Boy Scouts has held a meeting at which reports were given on the progress of the organisation since the beginning of the war. Since 1913 numbers have increased considerably, from 92 to 145. The “school” section of the 1st Beds Troop (the “Onesters”) grew rapidly and was made into an independent troop, taking on the redundant 2nd Beds number; a Troop of Scouts was also formed at St. Cuthbert’s which was registered as the 65th Beds Troop. Three packs of Wolf Cubs have been formed, connected with the 2nd, 60th and 65th Troops; at the last census they had 37 members. Eighty-six Old Onesters are currently serving in the Forces and five have been killed. The 2nd Beds Troop does not yet have a Roll of Honour as all the Scouts are still school aged. Other Troops, such as the 22nd Beds (Nonconformist) and the 60th Beds (St. Leonard’s) have struggled due to the loss of officers who have enlisted. St. Leonard’s Wolf Cubs has lost members since last year’s census after their room was commandeered by the military. 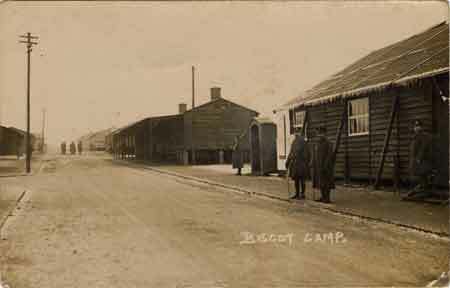 War service carried out by the Scout Troops is very varied and has included bridge building, canteen and military orderly work, egg collecting, messenger duty, and acting as patients for first aid classes. “Since leaving Luton eight years ago my experiences have been many and varied. Starting in as a railroad man, I have been successively farmer, dining car cook (between Chicago and Buffalo, New York, and later through the Western States), hotel clerk, steel worker, miner, travelling salesman, and, last but the most important, a soldier in the grand an glorious Army of the United States. The last-named is the greatest experience of all. Whilst working in San Francisco last June President Wilson’s clal for volunteers was sent forth, and with hundreds of others I heard and went. Joining in this city on June 30th, I received my first insight into Army life, and was sent to a receiving barracks called Fort McDowell. This fort is situated on an island in the San Francisco Bay, and commands a wonderful view of the world-renowned Golden Gate, which is the entrance to the bay. A little to the east of the island in the Island of Alcatraz. This is nothing more than a rock pile, out in the bay, but upon it stands an imposing stone structure. This is the military prison, or, as it is termed here, Disciplinary Barracks. Sunday 6th January 1918: A Royal Proclamation has declared that today is to be observed by the whole nation as a Day of Prayer and Intercession “that we may have the clear-sightedness and strength necessary to the victory of our cause.” Services are being held across the country not just by the Church of England, but also in Roman Catholic and Nonconformist churches and in Jewish synagogues. In some cases united services are being conducted by both Anglican and Nonconformist ministers, and special forms of prayer and thanksgiving issued by the Archbishops of Canterbury and York are being used. Collections are being taken at the services for the Red Cross Society. The Chairman and members of Linslade Urban District Council walked in procession to the morning service at St. Barnabas Church, accompanied by the Volunteers, the Volunteer Band, the Police and Special Constables, and a number of discharged soldiers. 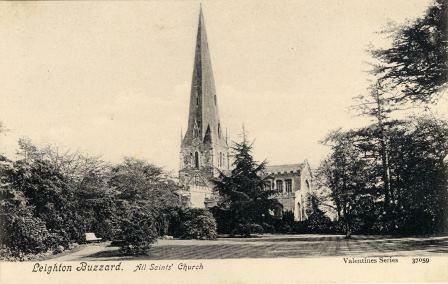 At Leighton Buzzard the King’s Proclamation was read from the altar steps at All Saints’ Church by the Vicar Rev. G. F. Hills. Public houses have closed voluntarily for the day. * The charge of the 6th Mounted Brigade at El Mughar in Palestine on 13th November 1917 was indeed the last great British cavalry charge, although later charges took place in Syria in 1918 with Indian and Australian troops. 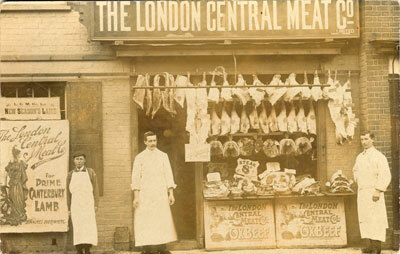 Wednesday 2nd January 1918: Bedford is facing an acute shortage of meat, with very little available in the butchers’ shops of the town. Where butchers have been able to make meat available, it has come from beasts purchased before Christmas which were slaughtered without going through the market. What supplies remain are expected to run out by the weekend. At Bedford market last Saturday only one beast was for sale, and although more are expected to be available this week it will not be enough to meet demand. The situation is even worse in the country districts, where residents depend on the visits of Bedford butchers who have now been forced to suspend their journeys to the villages.